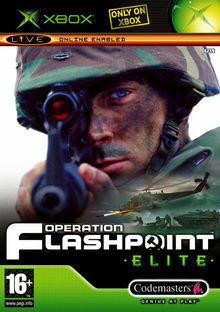 Operation Flashpoint: Elite was released on XBox in late 2005. A successor to the PC version, OFP: Elite retains all the depth and immense content of the original game and includes both the original Cold War Crisis campaign along with the Resistance campaign for single player action. Multiplayer modes "XBox Live" and "System Link" include over 50 multiplayer missions. Pages in category "Operation Flashpoint: Elite"
This page was last edited on 1 February 2019, at 14:04.